"The hotel was clean and nice, and the room was fresh. Pleasant atmosphere and exceptional personnel. No complaints; we loved everything about staying here.2017-03-25"
"Close to restaurants, stores, and attractions. Well worth the price. Everything was clean from the lobby to the room. The beds were comfortable. Friendly staff. My son loved the indoor pool, and breakfast was the best I've had at any hotel. I felt safe and secure here with my family and would definitely stay again.2016-04-25"
"Clean, comfortable room and quick check-in. 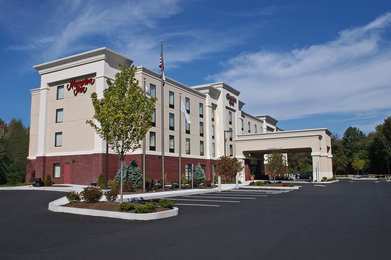 I've stayed at this hotel before and will stay again.2015-09-08"
"The hotel staff was pleasant and helpful.2015-06-16"
Learn more about Raynham Hotels & Motels in our Raynham Hotels Guide.